Two core values in mission statement of the Fraternal Order of Moai are Good Works and Preservation. 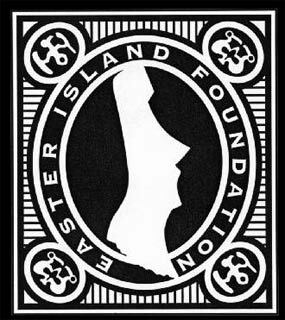 To further these goals the Order has designated the Easter Island Foundation as our national charity. The F.O.M. is looking to support the Easter Island Foundation through fundraising efforts & sharing in the proceeds of official F.O.M. events, like last year's Hot Rod Hula Hop IV, and the 2009 Ohana: Luau at the Lake. The Easter Island Foundation, a non-profit 501(c)(3) organization founded in 1989, promotes conservation and protection of the fragile cultural heritage of Easter Island and other Polynesian islands. Among its many projects, the Foundation established the William Mulloy Library on the island and continues to support its operations. 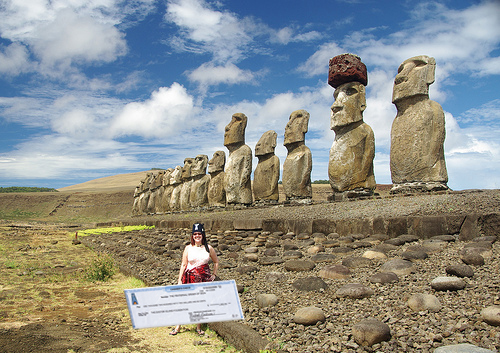 In addition, the Foundation funds archaeological research; provides students with scholarships, books and equipment; publishes a series of books about Easter Island and Polynesia; publishes Rapa Nui Journal; and sponsors conferences about Easter Island and Polynesia. The first donation to the Foundation by the Order is $1,252 from the proceeds of the charity auction held during Hot Rod Hula Hop IV. The auction had two parts: a silent auction of donated items; and then a live auction for a limited number of Mystery Bowl cocktails prepared for the event in a nice selection of cocktail bowls provided by Trader Vic's. The lively Mystery Bowl auction and the elaborate presentation of the bowls to the winners by a dancing Mystery Girl and Mystery Boy embodies the Order's concept of fun with a purpose. The Moai are excited to make this initial donation to the Foundation and we look forward to growing this commitment in the future.